NordicTrack Men's Gloves & Mittens Only $5.95! Down From $20! You are here: Home / Great Deals / Christmas Deals / NordicTrack Men’s Gloves & Mittens Only $5.95! Down From $20! 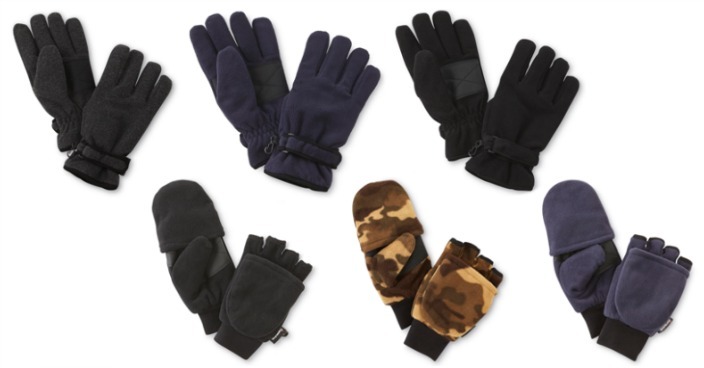 NordicTrack Men’s Gloves & Mittens Only $5.95! Down From $20! Sears has these NordicTrack Men’s Gloves & Mittens on sale for $7 (Reg. $20) but you ca get them for only $5.95 when you use promo code JINGLEBELLS (15% off) at checkout! Whether taking the snowmobile out for a ride or scraping the ice off of your windshield, your hands will be protected and toasty in these men’s Updated winter gloves by NordicTrack. The nylon exterior is equipped with knuckle slits, allowing you to move your fingers freely, and an adjustable wrist strap for a snug and stable fit. A Thinsulate lining works with the ribbed cuff for optimal warmth and comfort. Final: $5.95 PLUS FREE in-store pickup or FREE shipping on orders over $49!